We loved the Opera 2400 tunnel tent when it was launched - it was and still is a perfect couples tent. The fantastic reviews made it an instant bestseller and over in the UK the Camping and Caravanning Club magazine review echoed the masses. Now let us introduce to the Opera's big brother, the Lacerta. 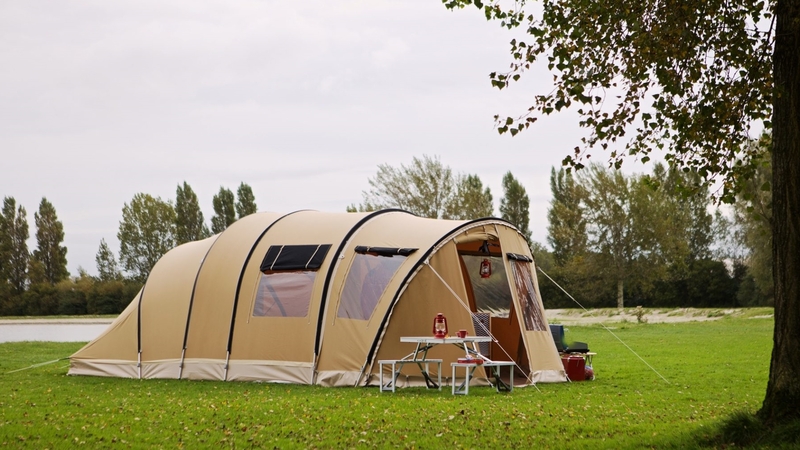 It's a surprisingly versatile family tent that has the added option of an additional front wall and groundsheet to extend the living area in bad weather or to just have an open living space with the awning on the warmer days. As you would expect from a Karsten, the material, fittings and overall style of the tent screams quality and although covered by a 5-year warranty, if looked after will last a lifetime. There are some funky new innovative features in this family sized Karsten not seen in others, including zip-in cupboards that maximise space, and although Karstens do not have dedicated inners, the dividers to separate the bedrooms now follow the line of the roof ensuring the bedrooms can be totally closed off. This is an awesome family tent that is quick to strike camp due to the zip-in outer poles and will withstand any weather thrown at it. The material will keep you warmer in the winter and cooler in the summer due to its 100% breathability. We will be displaying the Lacerta at our displays so please come down to see it along with the other Karsten models. For more information and technical specification, please download our information sheet below. TenCate Cotton™ canvas is made of cotton. The material is strong and cotton has substantial breathing and moisture-regulating properties. It can effectively withstand weather conditions. Moreover, our products meet strict environmental requirements. Copyright © Camping Travel Store 2018 All Rights Reserved.